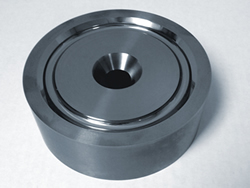 Our end form tooling is produced to the highest quality with excellent surface finish. Our end form tooling is produced to the highest quality with excellent surface finish. Whether this tooling is utilized in single hit carbide tooling, multiple hit tooling, or cutting operations you'll see the difference of working with Bridge Tool & Die's tooling. After working with us, you'll see how we're committed to challenging the status quo. Connect with us today to get your quote started.